Based on the TV series, “Baywatch” stars Dwayne Johnson as a no-nonsense lifeguard who must contend with new trainees and a drug smuggler. “Baywatch” is a scattered comedy trying desperately to be liked but fails at just about every turn. The spoof begins with a lot of hope for the audience, but degenerates quickly into one raunchy sight gag after another. 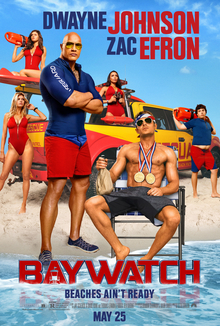 Unlike the very funny “21 Jump Street,” “Baywatch” refused to connect with the audience, and although there were a few laughs, most of the film was a sloppy mess. Dwayne (The Rock) Johnson, who plays “Mitch,” was regulated too muscle-flexing and running. Johnson, who does rather well in comedies like “Central Intelligence,” was let down by a way too underdone script. Zac Efron, who is making a career of being in 'frat house films' like “Dirty Grandpa” and “Neighbors,” handed in an uninspired and lackluster performance as he plays “Matt,” a 2-time gold medal Olympian now disgraced. In the end “Baywatch” is just another in a long line of poorly written, badly directed TV parodies that simply are not funny. “Baywatch” gets a D and is rated R.
Check out Dwayne "The Rock" Johnson's other films at dvd.netflix.com. Sign up for a new account and get your first month FREE! The 5th film in the 'Pirates' franchise has Jack Sparrow teaming up with Will Turner's son, Henry, to bring back the Trident of Poseidon to break the curse Will Turner is under. All the while being pursued by a villainous Spanish pirate, played by Javier Bardem. “Pirates 5” delightfully takes the franchise almost full circle to where it all began. But the ante is upped as new characters are introduced, deals are made and broken, and the special effects are terrific and the script is fresh and fun. 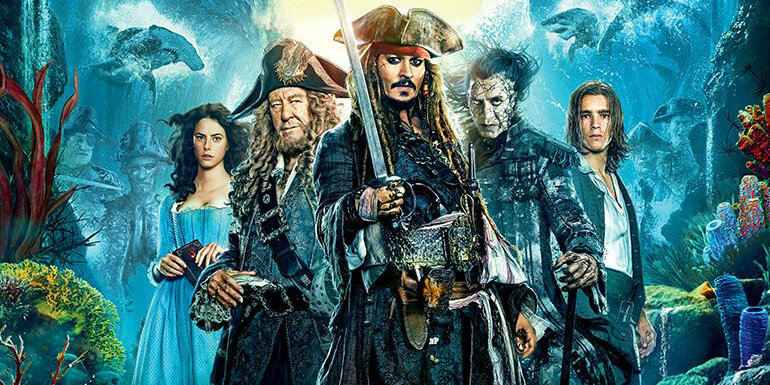 “Pirates of the Caribbean: Dead Men Tell No Tales” uses the right blend of action, adventure, lunacy and swashbuckle. It gets a B and is rated PG-13. Catch up with the entire "Pirates" franchise at dvd.netflix.com.